Van sides, delivery notes, FAQs… here’s how the best brands are using the copy others overlook to delight their customers. Homepages are slaved over. Ad campaigns are researched and conceived at great expense. And straplines are tweaked to within an inch of their existence. The brand communications that get the most attention from consumers always get the most attention from brands. 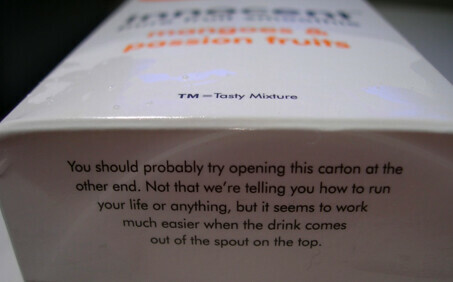 However, the best loved brands recognise that the humble stuff matters too. They know that every point of contact with consumers is an opportunity to express their brand in a distinctive way. And they take advantage of it. Van sides are mobile billboards. Yet most are blank. What a waste! 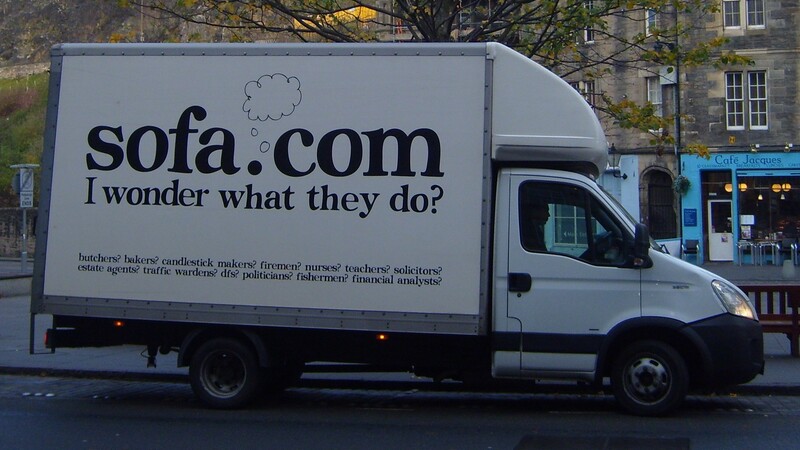 You can always tell whether a copywriter has the ear of the marketing decision-maker by a brand’s delivery vans. Sofa.com are as offbeat as ever with theirs, while the likes of Tesco and Ocado also use this roving brand real estate to strengthen their identity. By the way, the best van copy I ever saw? It was in Tooting Bec. Strolling out the underground station, I saw two men in turbans sat in a van at a red light. Under a picture of a toolbox, the van side read: ‘You’ve used the cowboys, now try the Indians’. Whether it’s on the side of a van, the bottom of a carton or the inside of a jumper, sweating the small stuff is about finding opportunities to delight the customer – often when and where they’re least expecting it. Citymapper – the revolutionary transport app – do this to perfection. Every update is hilarious, while the FAQ section is so crazily digressive and quirky you almost forget what you were looking for. They take the mundane and make it memorable, which encourages users to share the app. Sceptics may argue that people turn to FAQ sections for information, so wacky copy could be obtrusive and irritating. Maybe so – and Citymapper’s approach isn’t right for every brand. However, even for the most mainstream brands, a little quirk can diffuse frustrations. .
Tell us where you live. We promise we won’t ask to crash on your sofa. Pick a unique username that will let you access your account. There must be at least 6 characters, like any good novel. This little bit of extra effort rewards their customers for reading the T&Cs and shows how much Tumblr values them. All of this is great news for copywriters. Every surface is a medium now. The battle for consumer’s affections has moved to the fringes. All hail the humble stuff. It counts.